Perhaps the strangest Americanized name in my family tree is that of my second great grandfather Selig (Zelig). Zelig is of course Yiddish. The full Hebrew name on his tombstone was Simcha Zelig. Anyway, for two years in the local city directories, his name appeared as “Salem.” One year I might assume a clerical error, but since it appears there for two years, it seems he toyed with changing his name. He ultimately returned to Selig. Most Americanizations I’ve seen utilize the initial letters, and I suspect there was often a Kabbalistic intent in doing so. But even though ‘Salem’ is short for “Jerusalem” the uncommon nature of the name made it a very unlikely choice. Hi, I am on Ancestry and I have a Zelig Schrier in my family tree. I know the last name is Schrieber so why would it come up as Schrier? Also, on the family tree it says in parentheses that his name is Saul. That sounds sort of like Salem. Maybe they are the same person? His son is Abraham Schrieber, who is the son of Mollie Schrieber. Mollie would be my Great Grandma. My name is Abigail Katz by the way. Is any of this on your family tree? My grandfather’s name appears on Ellis Island’s passenger record listing as “Thamen”; Ancestry.com lists the name as “Thamer” from the same record. When I have looked at the manifest it looked like “Shamer”. He was known as “Sam” on his American naturalization papers. He was from the Empire of Russia (Sharkovshchina). I wonder if anyone can suggest what the Russian/Yiddish/Hebrew name may have really been. 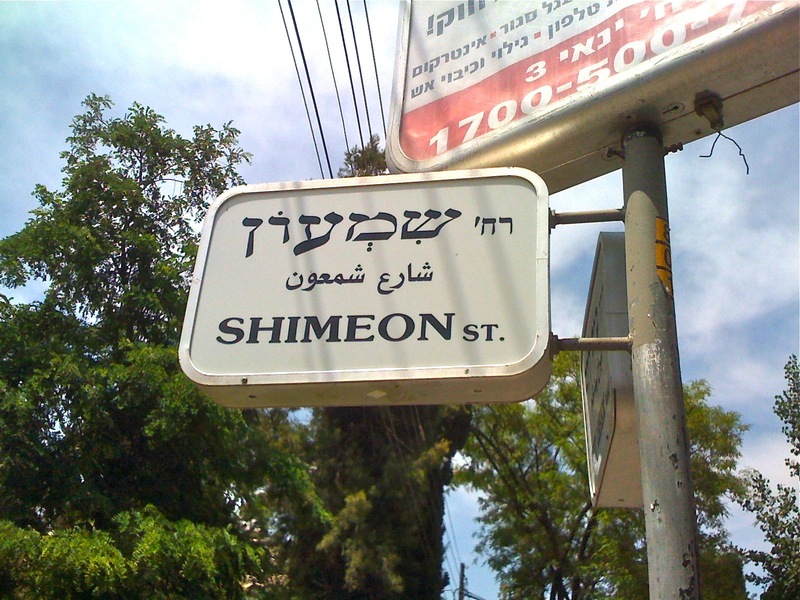 Is it possible that it was Shomer or Shamai or was it possibly something else? Marilyn, do you know where your grandfather is buried? His Hebrew name might be on the gravestone which would clear up any questions. Feldblyum’s book lists Shemariya as a name – from a son son of King Rehoboam listed in II Chronicles 11:19. As Sharkawshchyna is now in Belarus, you might look to resources like the JewishGen Balrus SIG (http://www.jewishgen.org/belarus/) to try to find records on your family. If you give me some more details I’m happy to look at the records myself and try to help. Wow, what a great article! Thank you so much! I wonder if you could help me at all. My great-grandfather was a Polish Jew born in Warsaw. I’m certain that his legal name was Henryk, but I have a few letters from his brother that from their content, seem to be to Henryk, my great-grandfather, though they’re addressed to “Hersch”. It says on the Jewish Name Database that the local secular form of Hersch could be Henryk, but do you know if Hersch was ever used as a nickname for Henryk? The thing is, Henryk’s sister married a man called Herszkowicz, and I wonder if these letters are to him rather than Henryk. As you’re so well-versed in the subject, I’d really appreciate any information you have. Thanks again for such a brilliant, informative article! Thank you. I would think the the use of the name Hersch is probably your great-grandfather and not his brother-in-law. As you can see, it’s not uncommon to have variations in first names, and even for the same person to use many different names in different contexts. I can’t say for sure, but that’s my gut feeling. The question to ask is how common would it have been then to adress a letter to a nickname based on the beginning of someone’s surname? My gut says it wouldn’t have been very common. Without seeing the letters and knowing who is being written about I couldn’t be sure (I would try to confirm details in the letters and see if I could match them to one or the other) but it would seem based on what you told me the letters are probably written to your great-grandfather Henryk. We have first hand experience now of the name changing across borders having come from the UK to Israel. In the UK we were Catherine Mark and Judah. The intention for all of us was to keep our secular names even though we all have the a hebrew or Yiddish name too which apart from in Judahs case are not direct translations and therefore not what we consider to be our everyday names. When we came to Israel our names were written on our documents for us based on us filling out forms previously in England using English. Judahs name was written as ג’ודו which is a direct transliteration of his name and completely correct. Marks name was written as מרק which read as marak but it is quite a common miss spell and people know what to say when they see it. It is missing another letter for it to be perfect. It could be corrected but it isn’t worth the hassle. Will people know that in two hundred years though or will the records show a few hundred maraks. By the way it means soup in hebrew which is quite funny. Myself I was doomed from the outset because in hebrew there is no sound for th making writing my name an impossibility. It was written as קתרין which reads as Catrin or Catrine depending on your accent. Now anyone coming from an English speaking Country trends to guess it is probably catherine but others call me carton and i get that daily. I never call myself that but the records are not going to know that in the future and where only my hebrew version is recorded no one will ever know what my name really was. Of course if I had used my Yiddish name everyone could have read it fine but I would have sounded even more foreign both to me, my friends and family and to Israel is. I also have a funny future genealogy problem connected to my aliyah. 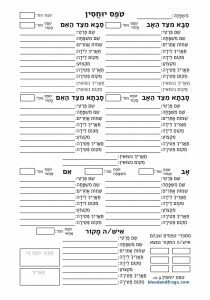 As you know, in those endless forms you fill out when moving to Israel you fill out the names of your parents. My sister made aliyah before me and she rightly filled out the names of our parents using their legal English names. 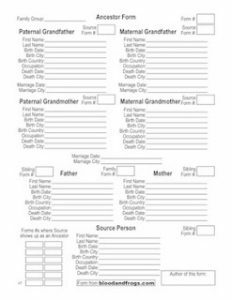 However, I filled out the final forms on the plane to Israel (it was a Nefesh b’Nefesh flight and they had Interior Ministry employees on the plane) and I was so tired that when they asked for the names of my parents in Hebrew, I gave them my parent’s Hebrew names. So if in the future someone were to find records for my sister and me, our parents would have completely different names. This is one of the most useful articles on Jewish given names that I’ve read, and I have read quite a few. The information that a person whose name appears slightly differently on different documents will be taxed separately for each given name finally explains why my great-grandfather, a poor man, was listed three times in the same tax list. Thank you! Was there a Russian law you can direct me to? Are you aware of anything that discusses the issue of what I call “morphing” of names? Let’s say someone’s name is Eliezer. Often he’ll be called simply Leyzer. I wonder if sometimes the last syllable was dropped rather than the first, so that he was called Eliez, and then in the next generation or two when someone was being named after him, the name used was Elias or Eliash. Any thoughts? As for the name morphing, it’s a very complicated issue. I can expand your specify example in my own family. I knew my grandfather’s brother as Hill. I had always assumed Hill was short for Hillel. When I started doing research into my family I discovered in passenger records his name was listed as Leiser. It took me some time to discover Leiser was short for Eliezer, as you mention. It took me even longer to discover his full name was Yechiel Eliezer, which became Chie Leiser, which became Hill Louis. Yechiel -> Hill makes some sense, Eliezer -> Louis also makes some sense if you know about the Leiser intermediate form. Name change articles are discussed in section 8 (pg. 18) in the first bibliography, and section 17 (pg. 93) in the second bibliography. The only downside to these bibliographies is that the second one was published in 2003, so the last ten years are not covered. Hopefully there will be a third bibliography in a future volume of the series (volume 5 was published in 2011 – let’s hope it’s not 2019 before the next volume is released). I stumbled across your blog and this post in particular last night and found the information extremely helpful! My family is Russian Jewish (from Odessa) and the names have been tripping me up in a major way. My great-grandfather used the English name Julius, but when he sent for his siblings to come to the U.S., their destination was given as to their “brother Idel.” Your chart reminded me that his Hebrew name was in fact Yehuda, so Idel is actually logical, rather than a corruption of something else. I was hoping you might have some insight on a different name: Rachmiel. I’m almost positive this was one of the siblings, coming in separately, as all of the information is right. But I only know his name as Michael, which isn’t particularly Yiddish. Is Rachmiel a name you’ve come across before? Thanks for writing this blog; I can tell it’ll be a great resource. To me it sounds like a form or Yerachmiel. Feldblyum’s book lists the kinnuim (secular names) used for Ierakhmeil (the spelling he uses in the book) as: Guchlek, Gutslik, Ziskind, Zuse and Zusman. Variants include, well a lot, but includes Rakhmael, Rakhmiel, and Rakhmil. kh in these is the Hebrew letter khet, which in English transliteration is sometimes ch, such as in Chanukah. However, I think the simpler answer is that the Hebrew form of Michael sounds a lot like Rachmiel. Michael in Hebrew is pronounced mee-kha-el. Compare that to rakh-mee-el. It’s not identical, but it’s not far off either. If your great-grandfather’s brother came to America, he probably found no easy equivalent for Yerachmiel/Rachmiel and went with Michael instead. That’s very interesting; thank you for replying! I’ve located his grave now, and it’s in a Jewish cemetery, so I’m hopeful that it might have his Hebrew/Yiddish name on the stone as an independent verification. I have so many questions that I want to ask, but I don’t want to inundate your comments section with it. Thanks again! Check out the new Q&A page. Click on the link in the top menu of this page. Ask as many questions as you like, and I’ll try to answer them. Just came across your blog as I was searching for my grandfather’s name “Idel”, Russian Jewish background. Couldn’t figure out what that name meant until I saw your blog. Thank you. My Grand Father’s name was Dave, but, on the passenger manifest of when he arrived at Ellis Island, his first name was listed as Tewel, I think that was a misspelling of Tevel. He came from Radyvyliv, or Radziwiłłów. I’m trying to find when his Father arrived at Ellis Island, but, I don’t know what the last name or first name would of been. What Yiddish name is the equivalent of Max. Also, he had a sister named Sophie, what would her Yiddish name most likely have been? The last name of my Grand Father was listed as Seidel, but, I was told it was different in Russia. When my Grand Father, Tewel, his Mother, Chane, his siter Rifke and brother Itzig arrived at Ellis Island, the last name was listed as Seidel, & the Person they were Joining was listed as Max Seidel, but, I don’t know what name Max had when he arrived. They arrived in 1906. On a 1910 Census, Chane was listed as Annie, Tewel was listed as Dave, Rifke was listed as Becky, and Itzig was listed as Izzy. I thought, maybe Max’s Hebrew name might be Mordechai, but, I’m not sure. Thanks for confirming my assumption that Zelman was the equivalent of Shlomo or Solomon. I couldn’t find this today on JewishGen given name webpage. I was worried. I have a good story. My gggrandfather was Zelman Ber, at least in his youth and middle age. In his old age he is listed as grandfather of his grandchildren as Zelman Tsalel. Tsalel is familiar for Betsalel, and the Yizkor book lists him as Zelman Betsalel when talking of his grandson Yitzchak, who died in the Holocaust. I am sure the people of his town heard”Tsalel” as his name when it was actually “Zalel”, a diminutive for Zelman. My point? 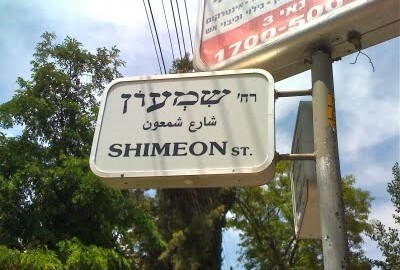 Names changed in the Old Country, too! Thanks for your post! I was hoping I’d found my great great uncle’s death certificate but the name was listed as Jankiel and it threw me off; all I had known was his Spanish name, Jacobo, after he moved to Colombia from Poland. Jankiel is a hypocorism (to use the technical term) of the name Jacob. A hypocorism is an affectionate nickname, usually given to children, but sometimes lasting much longer. It can also be spelled Yankel. In Polish the J is pronounced like a Y in English. In Hebrew the name is actually Yakov, although for historical reasons many names in Hebrew that began with Y became J in English (and other Germanic languages) which is why we have Jerusalem (instead of the Hebrew Yerushalayim) and Jaffa (instead of the Hebrew Yaffo). Moshe Berger and his wife was Rachel Markowitz. They had 4 children that came to America. Gedaliah Margil and Broche Esterken. My aunt told me these two were killed by the Germans. I am not sure of any other children.